Domestic stock markets opened Monday’s session on a positive note, amid positive global cues and smart gains in banking, metal and FMCG stocks. The S&P BSE Sensex rallied 259.42 points to hit all-time high of 38,511.22 in the opening trade. Nifty scaled fresh peak of 11,633.30, up 76.20 points. 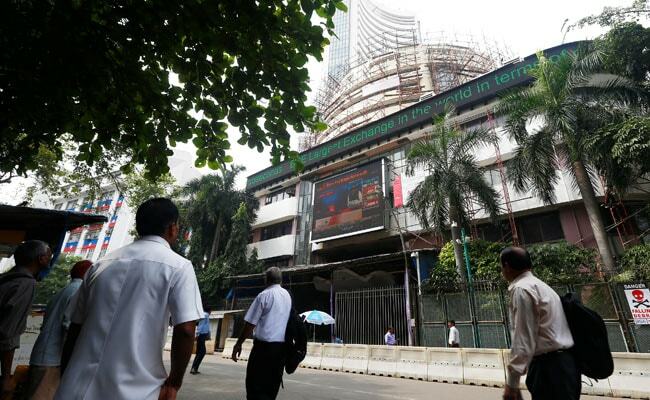 At 12:12 pm, the S&P BSE Sensex traded at 38,655.36, up 403.56 points or 1.06 per cent. The broader Nifty50 traded at 11,674.50, with a gain of 117.40 points or 1.02 per cent. Asian shares rose early on Monday, taking support from Wall Street’s gains on Friday after US Federal Reserve Chairman Jerome Powell said a gradual approach to raising rates was best to protect the US economy and job growth. On 30-share Sensex pack, all sectoral indices, led by metal, banking, consumer durables and PSU stocks were trading in the positive zone with gains of up to 1.52 per cent. Major gainers in the Sensex pack in the early session were YES Bank (+1.88%), SBIN (+1.50%), Tata Steel (+1.30%), ICICI Bank (+1.30%), Vedanta (+1.29%) and Kotak Bank (+1.13%). ITC, Larsen & Tourbo and SBI were among main contributors to the gains in Sensex. Grasim (+2.74%), Power Grid (+2.41%), YES Bank (+2.15%), SBIN (+1.96%) and Tech Mahindra (+1.84%) led the pack of Nifty gainers. n commodities markets, US crude dipped 0.23 per cent at $68.56 a barrel, and brent crude fell to $75.68 per barrel after oil prices rose last week, ending a streak of weekly declines on tightening supply, driven by the prospect of lower oil supply from Iran. On the other hand, top laggards in the Nifty pack in the morning session today were Infratel (-0.72%), Dr Reddy’s (-0.37%), Cipla (-0.12%) and ZEEL (-0.07%). Previous Previous post: If you think you can’t cook well, go for these hacks to make your dishes taste yum!